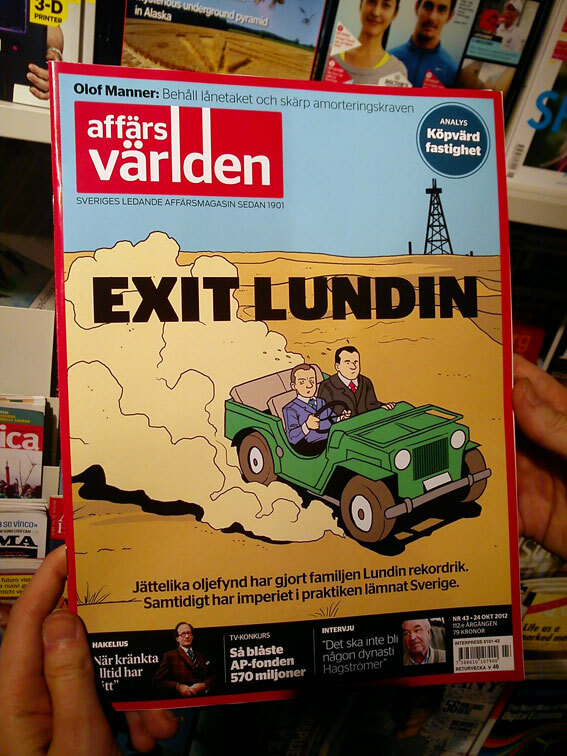 Fans of Tintin might want to pick up a copy if this weeks issue of affärsvärlden. The cover is, of course, paraphrasing the cover to "Tintin au pays de l'or noir" and is drawn by Hedvig. 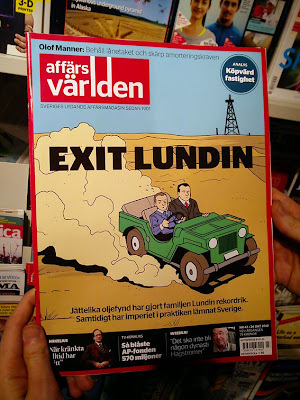 I love the concept (Tintin – Lundin) so whoever came up with the idea at affärsvärlden: Well done!! !